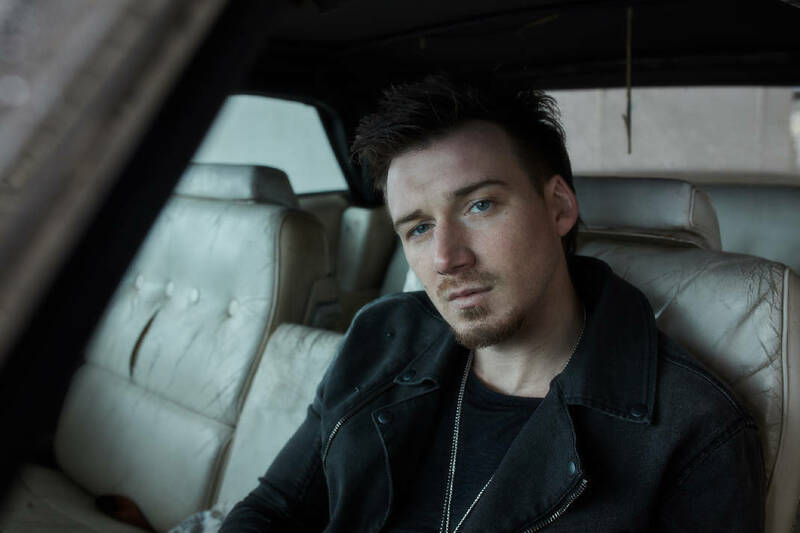 For a guy who's had three hit singles in two years — all off a debut album — it's surprising to hear Morgan Wallen admit he doubted his songwriting talent when he moved to Nashville three years ago. "I grew up playing violin and piano when I was little, but I never played guitar until I was in high school when I bought one from Walmart. I didn't even know if I was any good at writing songs when I moved to Nashville. I had no clue," says the rising country singer. His first single, "The Way I Talk," released summer 2016, reached No. 30 on Country Airplay charts and was certified gold. Then, last November, came his smash single, "Up Down," a collaboration with Florida Georgia Line that climbed to No. 1 and has gone platinum. And those were before his debut album, "If I know Me," was released in April of this year. That album reached No. 11 on the charts and is still No. 25 after 29 weeks on Billboard's Country Albums chart. The album's third single, "Whiskey Glasses," with its clever double-entendre lyrics, was released in July, and it's currently No. 34 and climbing. Wallen's seeing the world through whiskey glasses now after finishing a tour with Jake Owen and preparing to headline his own 26-city tour starting Jan. 5. But before then, fans can catch Wallen at The Signal, when his Up Down tour rolls into the Southside club on Saturday, Nov. 24. Wallen grew up in a small East Tennessee town near Knoxville, the son of a Southern Baptist preacher who loved hard rock and a mom who was into country and Christian music. He started singing in church at age 3 and played violin and piano as a kid. His plan was to play college baseball, but an injury in high school brought a halt to that. While recuperating, he bought the Walmart guitar and started learning to play. He drew inspiration to pursue music every day when he walked into high school. Wallen attended Gibbs High School, whose most famous alum is country superstar Kenny Chesney. "You hear about him and his family and all the things that are so similar to you and your situation at the moment. It definitely is inspiring to know you come from a very similar background as someone who is one of the biggest music singers in the world," Wallen says. He moved to Nashville at age 22 in 2015 — admitting he was unsure of his talent, but he met people who believed in him. "I got a couple of cuts on some albums. But I guess when Jason Aldean said he was going to make 'You Make It Easy,' one of my singles, that was the turning point. Whenever a guy like that shows faith in something you were part of creating, it's really inspiring. It was amazing to get that opportunity." After meeting Tyler Hubbard and Brian Kelley (Florida Georgia Line) through mutual acquaintances, they became friends, hung out, wrote songs together and the duo even took him out on tour with them. "They've been really good to me, treated me like family and took me under their wing. It wasn't something they had to do, it wasn't a management thing or a money thing, just them showing their faith in me. I really appreciate that," says Wallen. About that time he'd recorded "Up Down" by himself. "They came through the studio, heard it and said they liked it. I asked, 'Well, you want to be on here? I didn't think they would take me seriously, but I figured it wouldn't hurt to ask." Wallen said he and his band will play all of "If I Know Me" as well as a medley of songs he grew up listening to at Saturday night's show in The Signal. "When I go to a concert, I want to have fun, and that's what I want for my fans. I've got some songs that I love that are a little more artistic, but we try to keep it pumping."